At approximately 0004 hours the Box Alarm was transmitted for 24 Cherry Laurel Drive bringing Engine 1 with 4 Volunteers. Communications stated they were getting multiple calls advising there was a fire on the rear deck. Engine 1 arrived on the scene with fire from the roof of a one story single family. 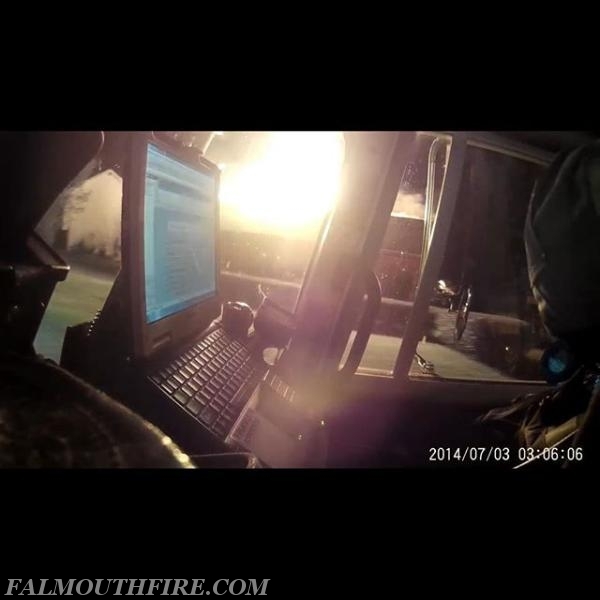 The Engine secured their own water supply and stretched the 400 to the Alpha side. 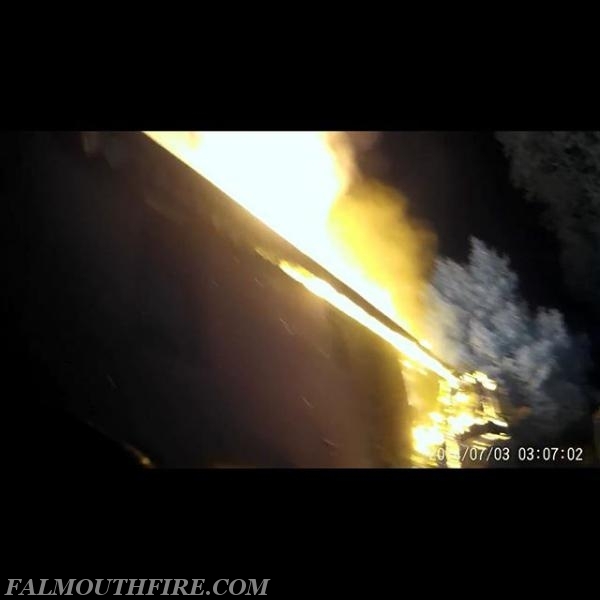 Upon viewing the Charlie side, Engine 1's Officer noted fire from the Charlie side as well. Engine 1 advanced a line through the Alpha side to find significant fire on the interior. Battalion 1 arrived, established the command and assigned Engine 1's Officer as the Attack Group Supervisor. One of Engine 1's crew members quickly located a family pet and removed it through the Alpha side to the family awaiting outside. Engine 1 operated on the interior for approximately 30 minutes with Truck 12 and Medic 11 extinguishing the majority of the fire. 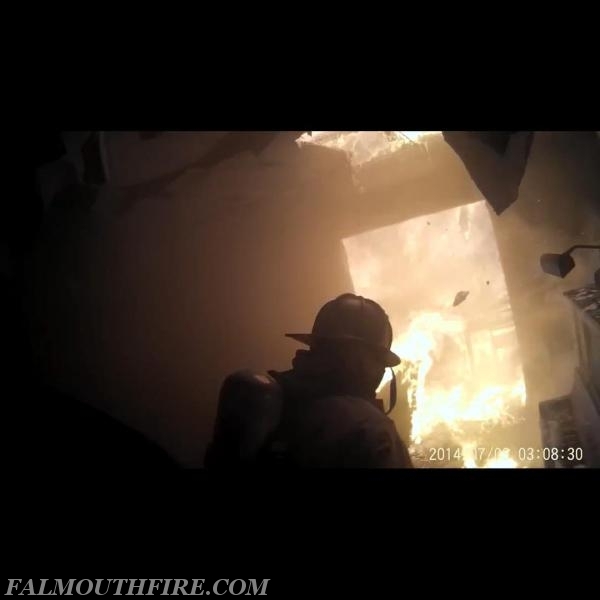 This is the third first due fire in 3 weeks for the Falmouth Volunteers. Units operated for approximately 2.5 hours before returning to service.